If your a fan of Swiss Army Knives (like me), then check out this cool 8GB Swiss Army Knife. As well as having all your favourite Swiss Army tools it also features a built in flash drive with 8GB of storage. 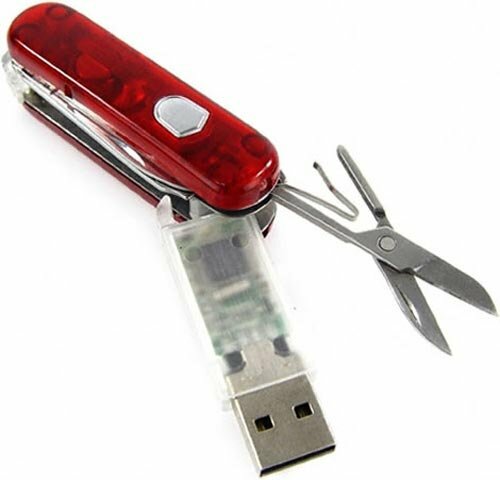 The 8GB Swiss Army Knife is available to buy online for $44 from Chinavasion.